Waste & recycling can be a convoluted process. New services are time-consuming to set up, and contract terms are difficult to compare. Join WastePlace today, and let us do the work for you. Our comprehensive marketplace handles every aspect of your disposal needs. We offer options for every service including commercial business disposal, dumpster rentals, and junk removal. Streamline the bidding process and set up a trusted network of service providers for your business today! WastePlace provides affordable waste & recycling solutions for businesses. Our network of trusted providers compete for your business ensuring you get the best service and price every time! Sharing is caring - give a month, get a month. 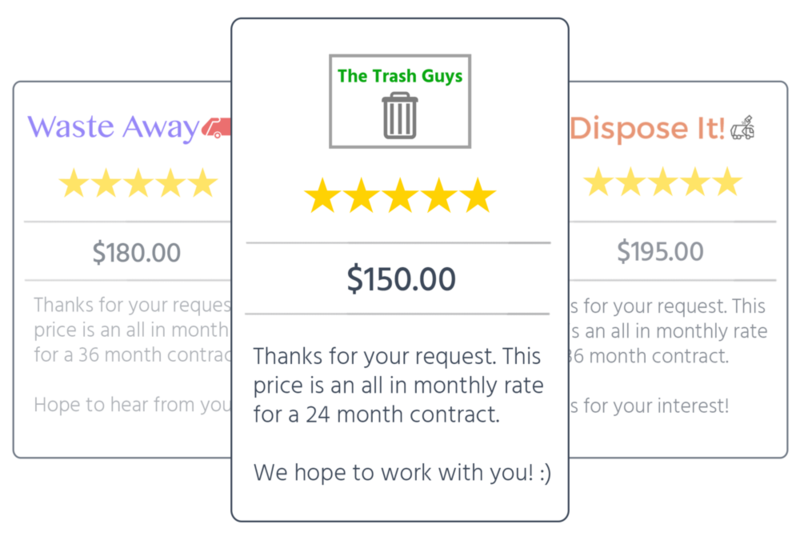 Once you book your recurring waste service through WastePlace, we'll provide you with a unique promo code. You can share this with anyone who is looking for new waste services. Once they lock in their service using your promo code, they'll get their first month free, and you'll get a month free too! Whether you are booking waste services, communicating with your hauler, or paying your monthly bill, WastePlace technology allows you to get these tasks done faster. WastePlace supplies you with a customized diversion report for all services and service providers.